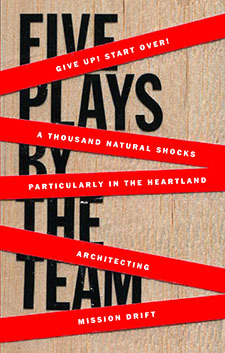 Announcing The TEAM’s Spring Workshops! 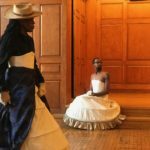 Posted April 2, 2018 by theteam in BlogComments Off on Announcing The TEAM’s Spring Workshops! Hello from the TEAM’s New Producing Director! 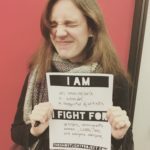 Posted March 28, 2018 by theteam in BlogComments Off on Hello from the TEAM’s New Producing Director! 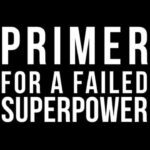 Posted July 6, 2017 by theteam in Blog, Primer for a Failed Super PowerComments Off on Help us bring Primer to Brooklyn next month! 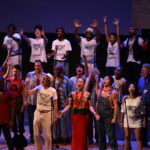 Featuring new arrangements of iconic protest songs by Heather Christian, Justin Ellington, Stephanie Ryan Johnstone, Martha Redbone and Aaron Whitby, Stew and Heidi Rodewald, and Yva Las Vegass, PRIMER is an all-ages community concert performed by teens, the TEAM, and Baby Boomers. 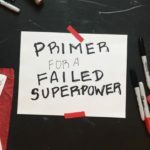 Posted June 1, 2017 by theteam in Blog, Primer for a Failed Super PowerComments Off on Save the Date: Primer for a Failed Superpower is coming to Brooklyn in August! Back by popular demand, The TEAM’s Rachel Chavkin will lead a director-focused workshop on Sunday, April 9. And our self-producing series, led by the TEAM’s Producing Director Manda Martin and industry guests, continues this spring with two more workshops in April and May about the business side of making and sustaining your work. 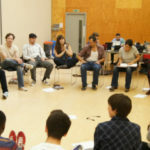 Posted March 25, 2017 by theteam in Blog, ProcessComments Off on Announcing Spring Directing and Producing workshops! Last night during the curtain speech for RoosevElvis (Re-MX’D) at New York Live Arts, we shared what our $10,000 grant from the NEA has translated to in box office income, compensation to artists, and audience numbers–and we’re inviting our colleagues to do the same. 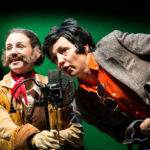 After sold-out performances in London, Boston, Minneapolis, and Michigan, we are thrilled to be bringing RoosevElvis back to New York for a one-night-only performance on March 16, specially re-imagined for New York Live Arts’ Live Ideas festival. Our friends at the New Ohio are launching a new film festival for indie theatre artists branching out into film, and we’re delighted that The TEAM Makes A Play, Paulette Douglas’ documentary about the making of Mission Drift will be screened on Wednesday, January 18 at 9pm as part of the inaugual lineup.